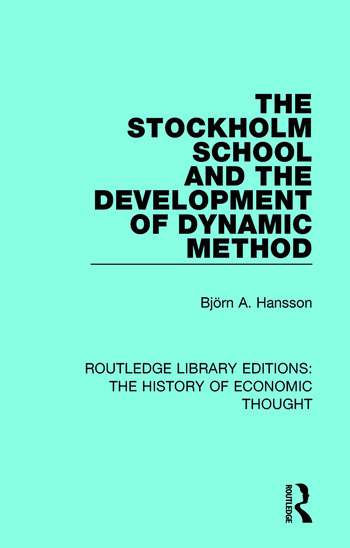 This book, first published in 1982, provides a thorough analysis of the Stockholm School’s contribution to the development of dynamic methods. It examines the work of such key figures as Myrdal, Lundberg and Lindahl and provides new insights on their work. It discusses the connections between the Stockholm School and Keynesian revolution, and shows how the Stockholm School were the precursors of many contemporary ideas. This title will be of interest to students of economics.